Ultimate Ears is another manufacturers that is well known for top audio products. They should be for name sake. After all they are Ultimate Ears! Not being content to stand on their laurels, they now have a new UE18+ Pro custom IEM with 6 drivers and a unique 4-way crossover. The UE18+ Pro is designed to have a neutral flat response, so the sound you hear is true to the sampling. -26 decibels of ambient stage noise. 6 balanced armatures and 4 passive crossovers. With the Ultimate Ears UE 18+ Pro being custom IEMs, I was custom fit by an Audiologist. They actually used a laptop and a handheld digital scanner, to scan my ears and create a digital 3D map of my ear canal. It was really cool, and worked extremely well. The digital scan was used to make my custom fit UE18+ Pro. And the fit is perfect. Since the UE18+ Pro was custom made for me, they were shipped straight to me in a standard cardboard box. Opening the box revealed a simple and elegant black box. On the side of the box was a certificate of Authenticity sticker. It had my name, the model number, the serial number, and an initial by who inspected it. Opening the box showed an aluminum case held in black velvet. The top of the hard cylinder case showed the Ultimate Ears logo, and under it inscriber “handcrafted for Jeff Roy.” Pretty cool! Removing the round lid revealed a rubber ring around the cylinder to help seal them. Although I personally wouldn’t toss it in water. LOL. Looking in I saw the custom UE18+ Pro. Included with them was a wax tool and owner’s manual. Materials used in the construction was mostly plastic, with some metal. Quality of materials used was excellent. The quality of construction, and fit and finish was just as excellent. I loved the fact that I was also able to design them with the colors I wanted. I choose a clear, light blue end piece and clear white plastic for the rest of it, so I could see the internal drivers, wiring and crossover network. And now for the real test, to see how they sound. Twenty One Pilots: Heathen, percussion was extremely crisp and clean with resolution so good I could hear the contact and slide across the snare drum. Vocals were smooth like honey, with excellent texture detail. Piano was extremely natural sounding with excellent harmonics. Bass was very deep, very full, hit very cleanly with lots of authority. This aurel nirvana provided details I had not noticed before. Kansas: Carry On Wayward Son, vocals were extremely natural and so silky smooth! And provided tons of resolution, being able to hear the tonguing technique. Percussion was crisp and dynamic. Keyboard was very natural with excellent harmonics. The soundstage was nice and big, and imaging was spot on, with the realism of being in the studio. Kick drum had very good low end extension, with big full sound and clean tight bass with lots of authority. Fresh Aire: Going To Another Place, strings were extremely crisp and clean, with excellent resolution, being able to hear the pic on the strings and their natural decay. Kick drum was very tight and clean with excellent low end extension and resolution in the midbass, playing with very good authority. Flute was so silky smooth, and had excellent air with plenty of resolution to hear the tonguing technique. Piano was very natural and had harmonics that was nothing short of aural candy! The UE18+ Pro had a bit more of a warmer, more refined sound. The level of resolution was also stellar, as was the level of realism. Bass response was also good, just not up to the level of some, since the UE18+ Pro was designed to have a more neutral flat response sound. And I absolutely love them being custom made for my ears, way too cool! The UE18+ Pro ended up being true as advertised. If you are a sound engineer, musician, and just an audio fanatic who has to have his sound pure to the source, you won't be disappointed. The level of detail, and realism was off the charts. Why spend the money on a rock concert when you can use these and feel like you're right there with the band in the recording studio. 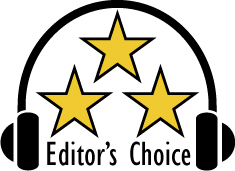 Based on their design, features, quality, and performance, the Ultimate Ears UE18+ Pro has earned our Editor's Choice Award. For more info and complete specs, check out their website at www.pro.ultimateears.com.